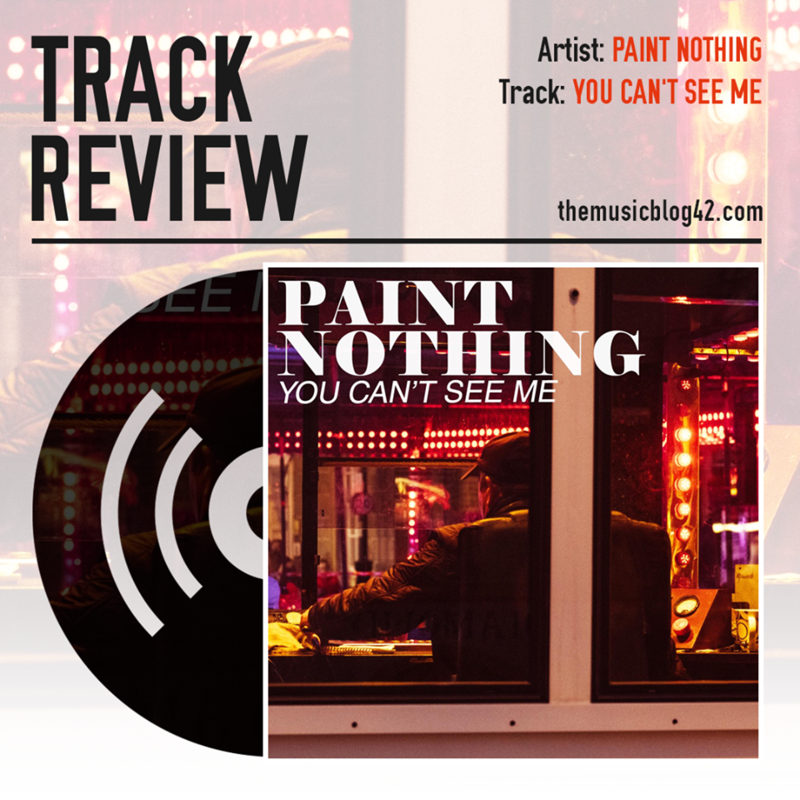 We’re so so pleased to premiere the new Paint Nothing track You Can’t See Me, easily one of our songs of the year so far. Paint Nothing are a relatively new band on the local scene, hailing from Cambridge. This is the latest venture from many of the band members who were part of the recently-defunct band xBomb Factory. You Can’t See Me is a terrifyingly intimidating track which is about ‘the unhealthy relationship between the people on either side of the screen’. The instrumentals set up the meaning of the song well, especially the staccato guitars to open the track which really connects with frontman Jack’s roaring vocals. The guitars swarm the track throughout, as does the stabbing drums which make this easily one of our songs of the year. The band have previously released a limited edition EP but this is the first track available on all streaming services. They’ve also played with the likes of IDLES, one of the best post-punk bands around at the moment. You Can’t See Me is an epic of a track for a debut. For this to be their first track proves that they have enormous potential, and with an album on the way later this year, expect to hear more and more from Cambridge’s new post-punk heroes. You Can’t See Me is officially out on 23rd March (tomorrow). Check out their website: http://www.paintnothing.co.uk for all the latest news from the band and for their social media links!